Why Choose Cross Bar X Youth Ranch? Whether you need a fun place to take your youth group or a relaxing place to get away with your coworkers, Cross Bar X is the place for you. Offering an affordable experience at a high quality facility, Cross Bar X Provides everything you need to make your next group getaway a huge success! 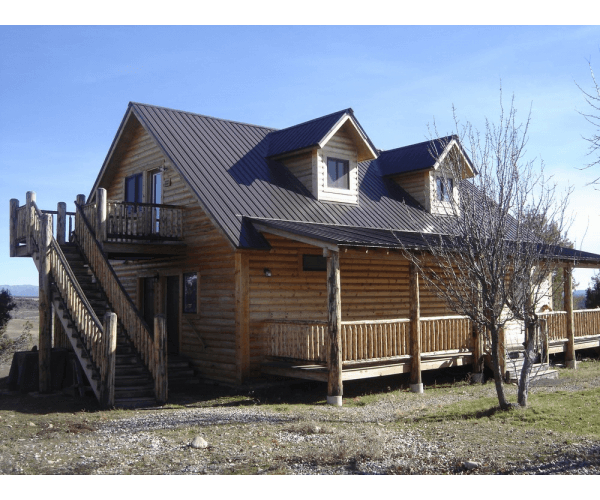 Our beautiful log buildings and cabins provide comfortable lodging for up to 100 people in both private bedrooms and group quarters. Conveniently located 45 minutes from skiing and snowboarding at Durango Mountain Resort and 20 minutes southeast of Historic Downtown Durango, the whole of the Four Corners is at your fingertips to guarantee your group has a wonderful time in beautiful Southwestern Colorado! You can also fully utilize our fully furnished commercial kitchen and dining facilities to prepare meals as affordably or extravagantly as you choose. This allows your group to operate on your own schedule in a relaxed atmosphere. Cross Bar X offers one of the largest high ropes course in Colorado and also offers a climbing wall, giant swing, leap of faith, low-ropes teambuilding course, and 800 foot zip line to thrill and challenge your group!